Recipient of overwhelmingly universal acclaim in his day, the genius of Italian painter Giotto di Bondone is still felt today. Born in a tiny village outside Florence, his prodigious artistic ability was discovered when he was very young and his wealth and fame grew in leaps and bounds as his career progressed. Di Bondone, commonly acknowledged as the father of the Renaissance because of his revolutionary painting techniques, spent his life decorating the religious houses of Italy with breathtaking detail and startlingly life-like subjects. Though little of his work remains today, Giotto di Bondone's contribution to modern art was massive, permanent and extremely important. Giotto di Bondone was an outgoing, intelligent child, well-liked by all who knew him. His cheerful disposition was complemented by an intense curiosity about his fellow humans, which would serve him well in the future. Legend has it that one day, while out on a hillside, di Bondone was using a sharp stone to draw sheep on a large rock. The famous painter Cimabue passed by, saw how extremely life-like the sheep were, and promptly asked permission from di Bondone's father to take young Giotto as an apprentice. His father evidently acquiesced, and so began di Bondone's artistic career. Young Giotto was a mischievous child and loved practical jokes even into adulthood, and would often play tricks on his master. Once, it is said, he drew a fly on the corner of one of Cimabue's paintings. The fly looked so real that Cimabue spent the day repeatedly trying to brush it off, only realizing hours later what had happened. Di Bondone had the fortune of being born and living in the time of the Medieval greats. Painters Nicolò Pisano, Pietro Cavallini and Duccio, along with mosaic-worker Jacopo Torriti, were all members of the famous Italian school of the Marmorarii. Di Bondone took his cue from their techniques, and took their slowly-evolving naturalism and turned it into the humanist, emotional figures that characterize so much of the most famous Renaissance art. Little is known about di Bondone's early career, but it is thought that his first venture out of Florence was with his master to Assisi to paint the frescoes at the Church of St. Francis. These famous frescoes, while almost universally accepted as being largely di Bondone's work, have never actually been proven so. Di Bondone quickly moved away from his master's stringently Medieval painting style, opting instead for a much less stylized and elongated technique. His brush strokes were tighter overall, making for more realistic-looking, human subjects. Throughout his most productive years, di Bondone traveled all around Italy painting frescoes in various religious houses. The public, it seemed, liked di Bondone's fresh, new style of painting in which humans were represented as they truly are. Di Bondone spent a great deal of time studying his fellow men so that he could reproduce accurately expressions of grief, joy, shock and a welter of other emotions. Among other things, Giotto was intent on showing humans in natural states, minus all the stiff, religious grandeur that had typically appeared in art thereto. 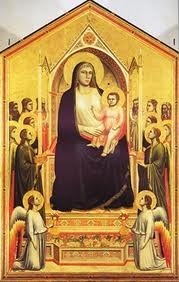 An important example of this is his Ognissanti Madonna; to the modern eye, its style is not particularly remarkable. However, compared to similar works of its time it was revolutionary. The Madonna is quite naturally holding her baby's leg, rather than simply gesturing toward him, and her head is upright and proud, not tilted demurely downward. Di Bondone continued to modify and refine his style through his middle years, completing the frescoes at the Church of St. Francis in Assisi at the end of the thirteenth century. His masterwork, the Scrovegni Chapel (often called the Arena Chapel), was completed in 1305 and received widespread critical acclaim. 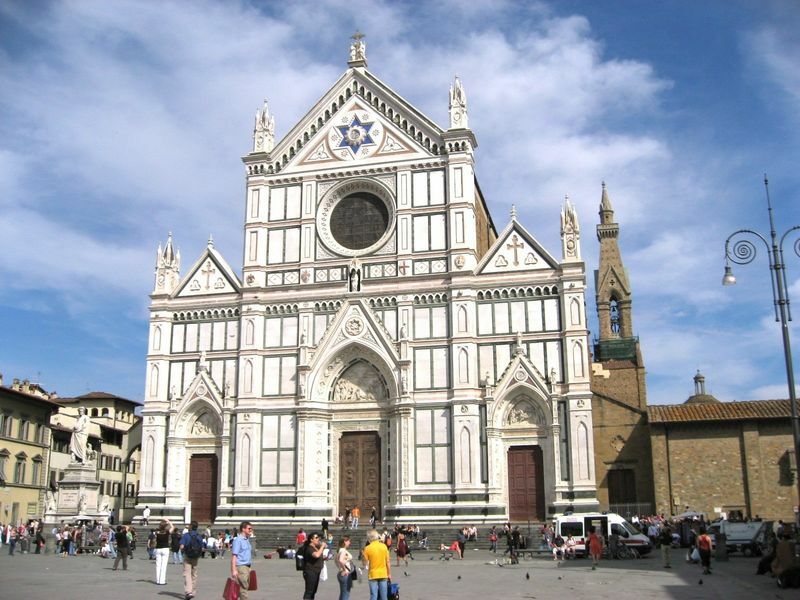 He also completed the Santa Croce chapels in Florence during this period of his life, the most noted of which is the Peruzzi Chapel. In his personal life, di Bondone was happy and content. He had married an Italian woman named Ricevuta di Lapo del Pelo and together they had six children, one of whom went on to become an artist as well. 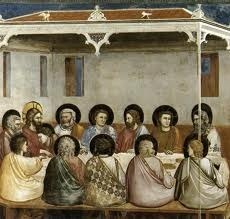 It has been suggested, although never proven, that Giotto was a somewhat religious man. It is known that he supported (albeit discreetly) the ideals of the Franciscans and even named two of his children Francesco and Chiara. 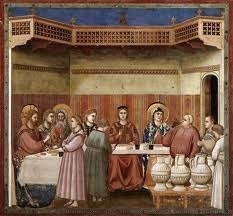 By no means did Giotto di Bondone slow down during his later years, remaining active until he died in 1337, aged 70. Toward the end of his life, di Bondone solidified his impression on the art world. He became close to the Pope and was called to the royal household by the King of Naples, Robert of Anjou, where he lived for over five years. 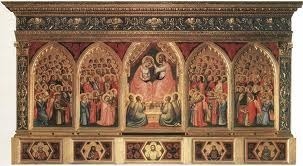 He also painted, among other works, the Baroncelli Polyptych, the Stefaneschi Triptych, and the Lamentation of Christ fresco in the church of Santa Chiara in Naples. 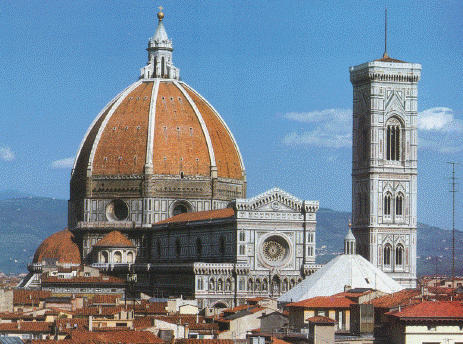 Three years before his death, di Bondone was appointed chief architect of Florence and began building the Florence Cathedral. By the end of his life, di Bondone had become friends with literary greats Boccaccio, Sacchetti and Dante, all of whom featured or mentioned him in their works. Di Bondone's last known project was the Podestà Chapel in Florence. He died in January of 1337 and was initially buried in the Church of Santa Reparata. After excavations in the 1970s, however, the remains were moved to a place of honor, near the grave of Renaissance great Brunelleschi.